All over the world, Portuguese people will be joyfully celebrating the days around June 10, the tiny Iberian country's national holiday which is called Portugal Day. Cities like Toronto, Montreal and New York, which have strong Portuguese communities, hold festivals that are a colorful feast of aural and culinary delights. 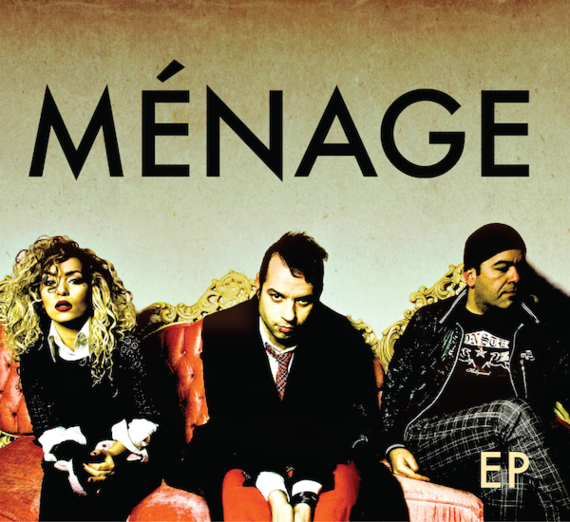 Ménage, an award-winning and eclectic pop-rock band which features three Ferreira siblings (brothers Gabriel and Fernando, and sister Bela), is stoked to be performing in all three cities: in Toronto (June 8 and 13) and in Montreal (June 10) during their respective Portugal Week events; and then they cap it off with a "not-to-be missed performance" in Central Park on June 15 during Portugal Day NYC's festivities, organized by the Portuguese Circle. Ménage, which works between Toronto and Los Angeles, recently won Rock Song of the Year for its aptly titled Our Time is Now at the International Portuguese Music Awards in New Bedford, Massachusetts. 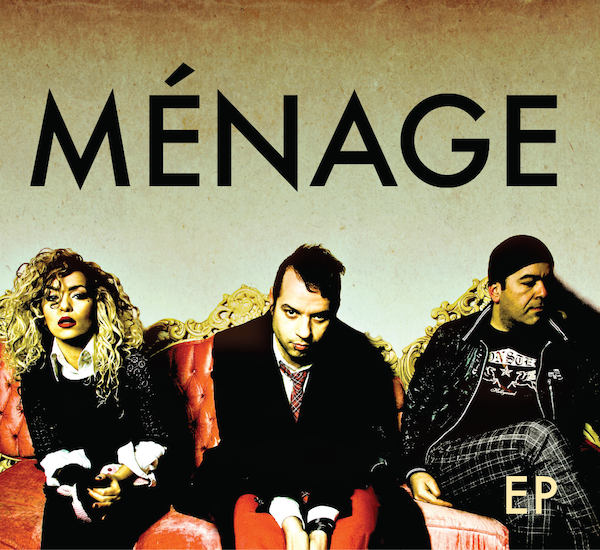 They are following up on their outstanding debut self-titled album, Ménage, with Ménage EP, the first of four mini-records in a row that will "each be influenced by recent experiences and will hopefully keep things fresh for our fans," explains guitarist Fernando. I think we bring a young alternative indie rock element to Portugal Day events, that's still not very common among Portuguese communities, and organizers seem to like and support Ménage. It's also inspiring to meet and play alongside musical artists who fly in from Portugal. It makes for great conversations about Euro versus American trends and music scenes across the ocean. Although, we're not really a "Portuguese music" band, it's a big part of who we are. Personally, I think it gives us a sense of "underdog" edge -- the proud nation of Portugal is often dwarfed in size by its giant Iberian neighbor, Spain. At these events, we find we all originate from this pretty small country, and find others who have come a long way and are still in touch with their cultural influences. And we want to share this with the world. In Europe, people want to see a great live band, and maybe care less about what is going on with a band's Instagram or if they are trending on Twitter. Perhaps because of our background, we like to keep focused on the reality of what we do, which is Ménage. Who we are personally is a lot less about tweets, tabloids, scandals in magazines...and a lot more about the music. Maybe we won't get super rich and sell millions of records and downloads. Maybe we won't have really fast cars or expensive drug habits. But I don't think there will ever be a replacement for a live rock show. So as long as Ménage makes music, we will hopefully have somewhere to play, because that's what we love to do --write music, travel, meet people, perform, and move bodies. And hopefully people continue to relate. And to that, we say, Obrigado! Check out the Ménage EP release info and tour schedule (including upcoming Canadian and American gigs), on its Ménage band website, and on Facebook.